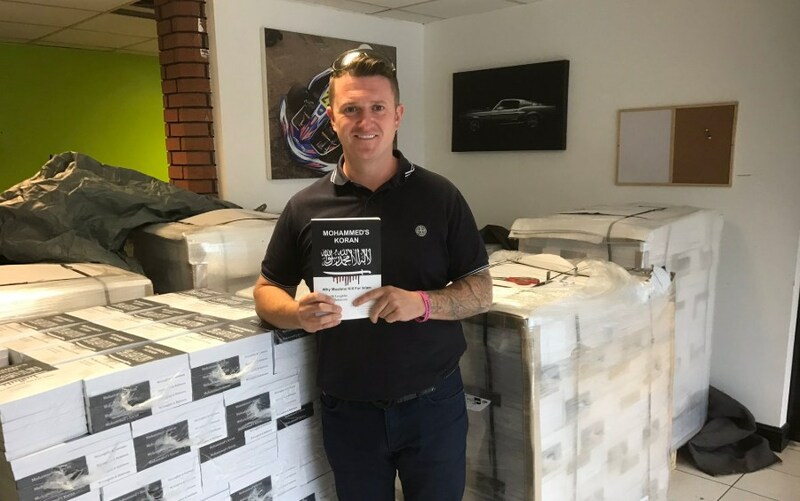 An image Tommy Robinson originally posted to his Twitter account of himself and copies of his book, "Mohammed's Koran," just before it released in July 2017. Twitter has since suspended Robinson's account. In the third Indiana Jones movie, the hero’s father (played brilliantly by Sean Connery) tells off a Nazi thug. “Goose-stepping morons like yourself should try reading books instead of burning them.” That movie came out in 1989. Two things about it seem dated now: The Last Crusade as a movie title; and Nazis, instead of leftists, getting rid of books they don’t like. Today, virtual book-burnings are all the rage among social justice warriors. 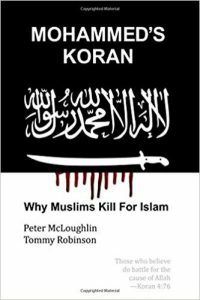 Specifically, the three major book outlets — Amazon, Barnes & Noble, and Books-A-Million — have banned Mohammed’s Koran: Why Muslims Kill for Islam, by Peter McLoughlin and Tommy Robinson (2017). Amazon, the 800-pound publishing gorilla, did so openly. The other two did so more quietly (and as of this writing, neither has responded to requests to explain why). McLoughlin has copies of the book for sale here. The most violent passages in the Quran were ones uttered by “the prophet” in later life, so they overrule earlier, peaceful ones. What is so terrifying about this 399 page work? Seemingly that Tommy Robinson is a co-author. (Peter McLoughlin’s 2016 book, Easy Meat: Inside Britain’s Grooming Gang Scandal, is still on Amazon.) To the English-speaking Left, Robinson (whose real name is Stephen Christopher Yaxley-Lennon), is a “far right Islamophobic extremist.” To many on the Right, he is a “free speech martyr.” I tend toward the latter view, but the issue here is his book, not the man himself. The most violent passages in the Quran were ones uttered by “the prophet” in late life. They overrule earlier, peaceful ones. This means jihadists, far from being “extremist,” can legitimately claim to be true Muslims. They literally follow Allah’s commands to slay, take captive, besiege and ambush infidels (Sura IX:5). Providing an authoritative “Koran” like this allows McLoughlin and Robinson to back up their thesis. [T]he book … has been written precisely to enable the general public to understand why Muslims are so much more likely to be killing people in the name of their religion than are Buddhists or Christians. For corroboration, peruse the U.S. State Department Foreign Terrorist Organization list (76% are Muslim), and this 2017 Areo article. Bringing back the caliphate is mainstream for Muslims. Atheists and Christians alike refuse to believe that a religion glorifies jihad. Politics is inseparable from religion in mainstream Islam. There are more movies about the Vikings, about ancient Greek myths, about space travel, about the romance novels of Jane Austen than … about Mohammed’s religion of war. Indeed, I raise this complaint regularly to my wife, and point it out to my university history students. Just this Lenten season yet another History Channel series on Jesus will air. No doubt it will include the latest in revisionist Biblical criticism from liberal scholars. 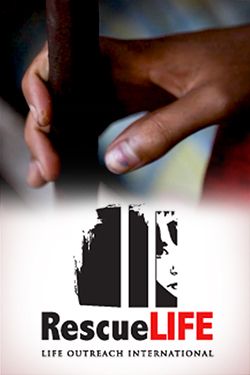 But will a similar hard-hitting examination of Muhammad’s life and claims run during Ramadan? Not likely. Islam has been political since 622 AD, when Muhammad became king of Medina. 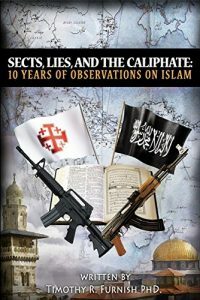 And so “Islamic state and Boko Haram do not look to Mein Kampf for the rules they must follow, but look to the behaviour (sunnah) of Mohammed, as found in the Koran, the Hadiths, and the life of Mohammed.” Another excellent short chapter explains taqiyya, or Islamic “lying” to infidels. The theme of Mohammed’s Koran is that mainstream Islam is violent. Its secondary point is that Western elites — politicians, but academics, journalists and even some military leaders — have promulgated “The Grand Lie.” That’s the claim that Islam is really a peaceful religion, “hijacked” by extremists. McLoughlin and Robinson note that the Lie has been pushed most in recent years by George W. Bush, Tony Blair, David Cameron and Nick Clegg (former Deputy PM). The only major Western leader to dare to speak the truth about Islam was Pope Benedict XVI. He suddenly resigned in 2013 — the first pontiff to do so in over 700 years. Coincidence? The authors imply that it was not. This book was “designed to be read by a man in the pub” (Peter McLoughlin, in email communication). It’s not aimed at people with doctorates in Islamic history who bristle at the inept transliteration “Koran” and the citing of only secondary sources. But even so, Mohammed’s Koran has some shortcomings. The major shortcoming has nothing to do with Islam. It’s the failure to explain why Western leaders engage in The Grand Lie. The political need to mollify allied Muslim states. The conviction that Muslims are always a dark-skinned, oppressed group. Yet, I don’t see evidence that “our elite are in the process of subjugating us” to Islam. Beside new U.S. congresswoman Ilhan Omar (D-MN), no one, even in the U.S. Democrat party, wants to Islamize America. The danger is that the ignoramuses and the cowards in both parties will refuse to stand up to those few, like her, who do. There are a few other flaws herein. Winston Churchill’s famous observations from The River War are quoted in part, about “Mohammedanism” fostering “fanatical frenzy,” “intolerance,” and “blood and war.” But Lt. Churchill was part of General Kitchener’s army fighting the apocalyptic Mahdists of Sudan. Ottoman Islam, or that of the Qajar Persian court, was not so atavistic by 1898. Perhaps the major problem with this book’s treatment of Islam is portraying it as monolithic in doctrines. In fact there do exist sects (Isma’ili Shi`a, Ahmadis, Sufi orders) in which the Quran can be read non-literally, and jihad can be non-violent. As for the claim that “no Muslim has denounced these things which we Kuffar regard as evil” — please see Imam Shaikh M. Tawhidi. I asked a prominent conservative thinker his opinion of Tommy Robinson. He replied: “Good guy; poor execution of ideas.” Much the same is true of Mohammed’s Koran. The naskh-ized Quranic text alone makes this a worthwhile book. But it’s the print version of a Sean Hannity rant: lacking any sense of nuance, blaring only one note. It certainly doesn’t merit being banned — and in fact says much the same as I do in my books. But if you want more than a pub-level examination of the religion of 1.6 billion folks, supplement McLoughlin and Robinson with the likes of Bernard Lewis, Mark Durie and Archbishop Kenneth Cragg. Timothy R. Furnish, who has a PhD in Islamic history, is a college prof, author, consultant and a former adviser to U.S. Special Operations Command. Check out his website: https://occidentaljihadist.com/.